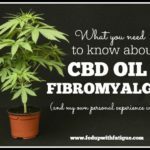 I am a problem solver by nature, so when I was diagnosed with fibromyalgia two years ago, I obsessively researched information on the best strategies for reducing fibromyalgia symptoms. I found out there are no easy answers. Certain drugs work for some and not for others. Some people find relief through massage, and others howl from pain at the thought of it. Most of us have medicine cabinets full of supplements that promised to ease our pain or exhaustion. Some helped, and some didn’t. Some of us find exercise helpful, and some of us silently scream every time someone mentions it. Fibromyalgia sufferers are a complicated bunch, but I do believe we can learn from what has worked for others. So, I’ve asked a bunch of my fellow fibromyalgia bloggers to answer the following question: What has helped the most for reducing fibromyalgia symptoms? I think you’ll find their answers interesting, and some are even a bit unexpected. After reading these, I’d love for you to leave your own tip in the comments! “There is no clear treatment plan for fibromyalgia patients, and we’re all so different that our go-to solutions are often a result of hours of personal trial and error. But, the one thing that I would highly recommend to any spoonie is heat, heat and more heat! “I have two hot water bottles at home, two herbal heat packs, an electric blanket, a hot water bottle in my desk drawer at work and some stick-on heat pads for when I’m out and about. I have thermal underwear – which I even wear in summer – and layers are my wardrobe failsafe. My scarves double up as blankets, my fingerless arthritis gloves keep my hands warm when I’m blogging and I’ve been known to sleep in a beanie hat during a migraine. “One of the most important things has been to simply stop pushing myself beyond my limitations, which I used to do day in, day out. This actually wasn’t a choice that I made but something I was forced to do when my body physically crashed. “Since then I’ve learned a lot about my health. I’ve thankfully made some significant improvements, and I’m no longer in excruciating pain. This of course hasn’t been easy; it has taken some discipline, a lot of patience and an unending ability to accept change but I am getting there. “The catalyst for improvement has undoubtedly been meeting Dr. [William] Rawls and following his protocol for recovery – the Vital Plan Restore Program – which changed my view and approach to fibromyalgia. Instead of treating symptoms, I now think of underlying causes. Addressing issues such as poor adrenal function, mitochondrial dysfunction, nutritional deficiencies and poor immune function, as examples, has seen my body heal to a point I didn’t think possible. Herbal therapies have been key in this for me, along with stress management, diet changes, pacing, and ultimately listening to my body. “I’ve been able to decrease my fibro symptoms by taking lots of small steps. First, I finally found a doctor who understands fibromyalgia and tries to treat the underlying causes versus just prescribing pills in an attempt cover up the symptoms (a strategy which often doesn’t work). “My doctor suggested a combination of high-dose melatonin, 5HTP and AdrenalCalm cream to improve my sleep. In addition, my urologist tweaked my overactive bladder medication, so that I don’t wake up every two hours having to urinate. Being able to sleep for 6-7 hours at a time is amazing! “Cleaning up my diet has been life-changing. I have less pain and fatigue now that I’ve cut out processed sugar, gluten, starches and other bad-for-me junk foods. Through an elimination diet, I’ve learned that gluten triggers nasty nerve pain and fatigue, so that gives me some control over my pain level. “Lack of sleep is one of the greatest enemies of those of us who live with fibromyalgia. Unfortunately, sleep deprivation along with sleeping disorders go hand in hand with FMS. Whether it’s restless leg syndrome, broken sleep due to hip and back pain, or the central nervous system’s refusal to allow a restful state of mind, getting eight hours of sleep is like the proverbial ‘dangling carrot’ – a tasty morsel forever out of reach. 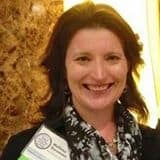 “Discovering methods that allow me to get at least 4-5 hours of uninterrupted sleep has been a great reducer of my fibro symptoms. A few of these include: taking long/hot soaking baths before bed, heavy/weighted blankets (deep pressure touch stimulation) and relaxing ‘white noise’. “I was diagnosed with fibromyalgia as a teenager, and zero mainstream treatments worked for me. I spent close to five years without a single treatment for my pain levels and without anyone in my life who could relate to what I was going through. “My world changed for the better when I met other patients online. Through a little bit of luck I connected with the right patients, the ones who shared my symptoms. I had already started experimenting with natural treatments but learning what worked for my ‘medical matches’ was incredibly eye-opening and helpful! “The one thing that has helped to reduce my symptoms the most was reducing my stress. I was in a very stressful job, and after years of trying to manage the stress, I ended up walking away from my career. “I have a type A personality and have always wanted things done particular ways. I’ve had to learn to accept imperfection in order to embrace a healthier life. I have set up various systems that keep the daily stress to a minimum – from repeated meal plans to minimizing my wardrobe. “The one thing that has improved my fibromyalgia symptoms the most is changing my diet. I’d say it was just removing gluten from my diet, but I think it’s been so much more than that. I try my best to eat clean now and avoid processed foods. “Helping other people and creative pursuits are maybe diversionary tactics, but I think they have helped me more than any so-called therapies. My blog, designed to help fellow fibromites, not only keeps my mind occupied, and my creative juices turning, but also feeds me with information that is, to some degree, helpful to myself as well as for others. “The two biggest things that have helped me in managing my fibro symptoms are going gluten-free and Lyrica. I had a celiac test run that came back inconclusive, but I know that my body simply cannot process gluten. When I have some, I get both GI upset and increased fibro symptoms like allodynia. “For most of my life, I saw my body as the enemy. In high school, I was frustrated with constant daily headaches. 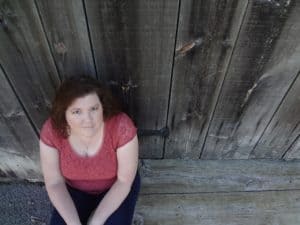 I often prayed, ‘God, if my body was a car, it would have qualified for the Lemon Law by now!’ Being diagnosed with fibromyalgia was just one more piece of proof that my body was defective. “After my diagnosis, my husband heard me complain about how broken I was. He stopped me and said, ‘When you say things like that, you’re putting ME down. I chose you. I married you. I think you’re beautiful.’ Talk about stopping a girl in her tracks! “As I thought about what Scott said, I realized that my body isn’t the enemy; my illness is. My body and I are on the same team, fighting the same battle. We want the same thing – to feel better. My body is pretty amazing; she can even heal herself with the right resources! 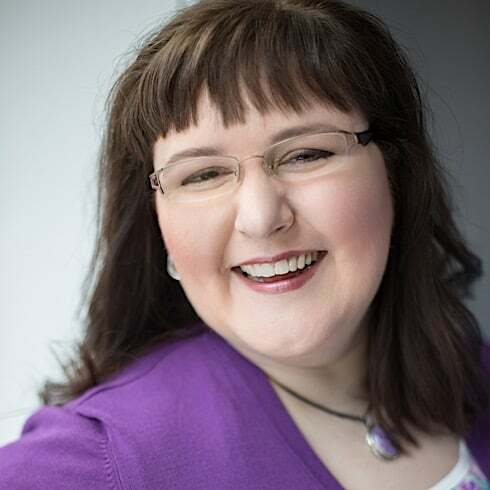 “Everything changed when I learned to love my body as she is right now, fibromyalgia and all. My symptoms started to improve as I gave my body what she needed: more sleep, better nutrition, less stress and so on. I began to treat myself the way I would treat someone I loved. My decisions and actions changed because my attitude changed. “I have been diagnosed with fibromyalgia and 19 ‘evil sidekicks’ (co-existing and co-morbid conditions) that contribute to the pain. The ‘evil sidekicks’ often need to be addressed before you treat fibromyalgia itself. “One thing I try to tell people is to remember when trying to find that magic mix of treatments that will work for you is that Fibromites are like snowflakes. Each one has a different list of “evil sidekicks” and each have to find what treatments will work for them. “I am very lucky to have found myself a good group of physicians to help me manage my health. I have a general practitioner, rheumatologist, neurologist, chiropractor, acupuncturist and physical therapist. 1. Good sleep hygiene – Go to bed and get up at the same time. Use a sleep mask, light noise and a good mattress and pillow. 2. Water – Drink it, soak in it and exercise in it. 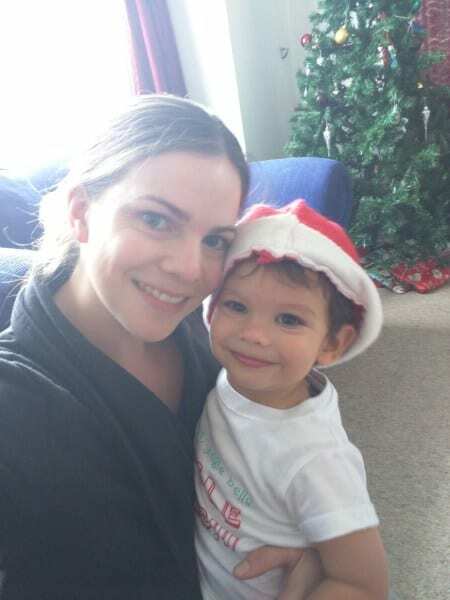 “The thing that has helped me the most has been a total lifestyle change. 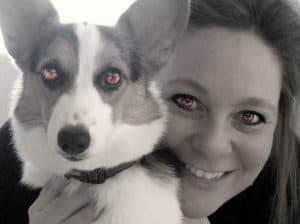 I left a full-time job, moved to a warmer city with my family, took on a part-time job that I could drive to (avoiding hours on buses), adopted my four legged love and walking companion, and embarked upon a series of experiments. “I have to be careful with how much I do. Each day is a series of cost/benefit analyses. Sometimes I feel guilty, sometimes I am pressured. I always pay for it if I overdo it. “I have had to examine, analyze, know and trust myself. I have come so far and have been so well in the last few years (excepting pregnancy), but I always have a reduced energy tank, and I have to live with that. 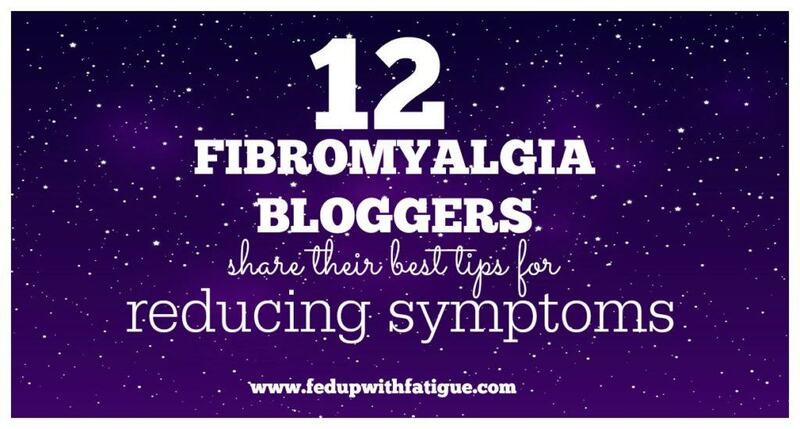 What is your best tip for reducing your fibromyalgia symptoms? Share in the comments below! I’ll choose several responses and feature them in an upcoming blog post! I now make my own decisions about what meds work for me. I have learned to love exercise, saying no when I need to and NOT feeling guilty. I have also found the strength to let go of the people in my life that thought they were helping me, but in reality were making me worse. I’m not a doctor, obviously, but it could be a histamine reaction. I am having a similar issue these days, and I suspect it is related to something I’m eating, but it can be other environmental triggers as well (mold, dust, etc.). You might want to research triggers for histamine reactions and then work on reducing those. I believe there is a low histamine diet, too. My doctor just told me to add the supplement quercetin to help. I can’t say if that works or not b/c I haven’t added it yet but I will be soon. If you haven’t already done so, cut out dairy. Animal milk causes extra phlegm. Personally, I got tired of trying so many different things against Carpal tunnel syndrome. I was lost, nothing seemed to help. That was until someone recommended me to use PeaPlex. I have read different reviews on the effect of PeaPlex, some very positive, some less. But for me personally, it really gives relieve. I would very much recommend it. Honestly, the two things that gave me some of my life back is the Quell and kratom. I discovered it over a year ago and started reading up on it, a month later I tried it. Before taking kratom I had been on and off serveral medications that didn’t really help, and left me feeling like a zombie. Once I discovered the right type of kratom to take (there are so many varieties! ), and the right dosage for my various pain levels, I started getting the relief and energy I needed. Since then I have been using the Quell at night, and taking kratom during the day when needed. I’ve been able to work longer hours, start going to the gym, and sleeping so much better. I still have my bad days, but I know that the Quell and kratom will help me get through it. The most amazing part — both of my specialists approve of me taking kratom and are pleased with the difference it has made!! Gluten free diet. Listening to your body and relaxing when your body says you have done to much. And heat!! For me, dealing with my Fibromyalgia is a battle of wills and I think to date…I win. I got my Fibro diagnosis in 2000 but in reality have suffered since 1989. I have never resorted to medication once the doctor told me it was to be strong painkillers and anti-depressants with no cure. I manage my Fibromyalgia with clean eating, yoga, meditation, being gentle with myself when I need to and helping to empower other sufferers through my Fibrofantastic blog. My top tip is that I get out of bed every morning, no matter how tough it is. I believe it tells my body I am up and ready to face whatever you throw at me but I haven’t given in to you today. I think your advice of getting out of the bed every morning no matter way is a good one. I’ve also seen the benefits of cleaning eating and am planning to get back into a regular meditation/yoga practice during the coming year. Thanks for sharing your fibro strategies. I will definitely check out your blog! Good luck with your plans for the new year. I would love to hear how you get on….maybe a guest blog post? Oh, thank you for posting! I made that decision too, to not take prescription drugs. The reaction that I get is that I must not be suffering as much as others. Not so. I have been learning to cope with chronic pain and hidden conditions for over twenty five years. I think the absence of drugs helps one to listen to one’s body better, rather than numbing it up and relying solely on doctors to figure things out. I learned early on that resting in bed all day, day after day, does not do a bit of good either. We have to learn to decrease the intensity of underlying conditions and triggers, then adjust our life to our new limitations, sometimes over and over again, because we cannot live in a padded cell of serenity. The struggle is maintaining peace within while the world goes to he** around us. Hi Tracey, I am on the same boat. I do not take medications. 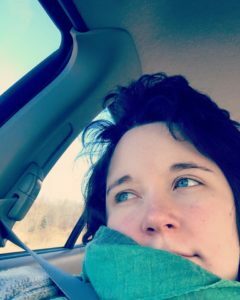 Im simply a fibromanic, the reason I am starting my own blog, fibromanic moms. I tend to push my limits everyday despite the pain i am feeling. It is very difficult, but I struggle to accept that I need rest. I was diagnosed a year and a half ago, and so far I keep praying I can continue to manage without medications. Tengo pocos años diagnosticada, y de ser una persona con muchas metas, super trabajadora, con mucha energía y ganas de viajar y mantenerme en movimiento, pasé a ser enfermiza, todo me dolía, mi vista esta cada vez peor, no había podido dormir mas de 3-4 horas cada noche, me sentía debilitada y cansada todo el tiempo. Lo que mejor me ha funcionado aparte del medicamento (tomo pregabalina, azulfidina, melatonina, metotrexato, húmira, sirdalud, arcoxia, complejo B, duloxetina, tramadol y otros más) es la ACUPUNTURA …… Es lo único que me quita el dolor en un 90% y me dura el efecto 1 o más días. Ah! aparte de fibromialgia, tengo spondilitis anquilosante. Great suggestions! You sound so organized! I never see anyone on Fibro Boards mention Sphenopalatine, Ganglion Blocks which can give amazing relief. Been diagnosed a yr,this is my 3rd bad bout of extreme symptom flare ups and my 10th week off work. At the start of this flare up the pain was so bad I couldn’t feel my legs to get out of bed.I work 3days a week and have two small children. I’m still working on different meds etc and try everything from Epsom salts,muscle soaks,muscle rubs etc to help dull the pains and as most fibro sufferers know its trial and error! The one thing I have found to be a very good help along this journey has been pure aloe Vera drinking gel which I’ve sourced from forever living products.it’s the one thing that has given me back a good bit more energy than I’ve had. I still be fatigued and take a sleep around lunch time when im not working and this seems to help me get thru the rest of the day but since taking the aloe Vera drinking gel I feel a bigger dose of get up and go,so much as let’s do something this Moring, a trip to the park etc with the kids which has been a big thing for me to feel included again in family life,even if just for a part of the day rather than watching everyone else head out the door while you rest on the settee. My fur babies are one of the greatest joys in my life. 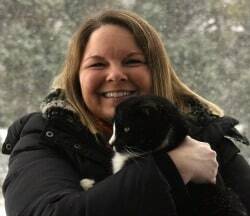 Thank you for sharing and encouraging others to adopt! He is on most social media sites and is on HayHouse Radio on Mondays at 5:00pm. Before I bought his book, I was well on my way to feeling better just through a complete change in diet and taking the “right” vitamins and minerals. Most information that you will need is free online to read and take to the healthfood store with you. Once I realized that I was feeling better and better each day and it was lasting, I knew I had to buy the book. Everyone that knows me, knows how ill I have been and for them to see me day by day progress to the person that I used to be, has amazed everyone! I can’t say enough about Medical Medium! If you want to find out what is really causing your fibro and how to Finally heal, please start reading. http://www.medicalmedium.com Happy Healing! My main way of dealing with fibromyalgia is a terrific support group. It had helped me so much as I am no longer ‘on my own’. I cried when I left the first meeting and it had been the best thing for me. I have a great group of friends and I know I can ring, text, email etc when I need support or help. My other thing is pillows. I have a v pillow, body pillow and ordinary ones and in use them to support my arms and knees, they take the pressure off the joints. My best tip is taking hot baths with Epsom salts. I add lavender essential oil or lavender bubble bath for the added relaxation. I was diagnosed 9 years ago. Like everyone with Fibromyalgia I have been searching for solutions constantly. I have a wonderful doctor who diagnosed me and did what she could do to help lower my pain levels and more, but she knew when there wasn’t anything else that she could do. She was frustrated and so was I. Her recommendation was that I see a Naturopathic Doctor. I started doing my research to find answers on my own, including more about NDs, This is when it happened, I found Tami Stackelhouse’s coaching website. I got in touch with Tami, we talked, and I hired her to be my coach. 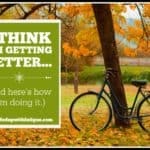 That was the best thing I have ever done to help my fibromyalgia. 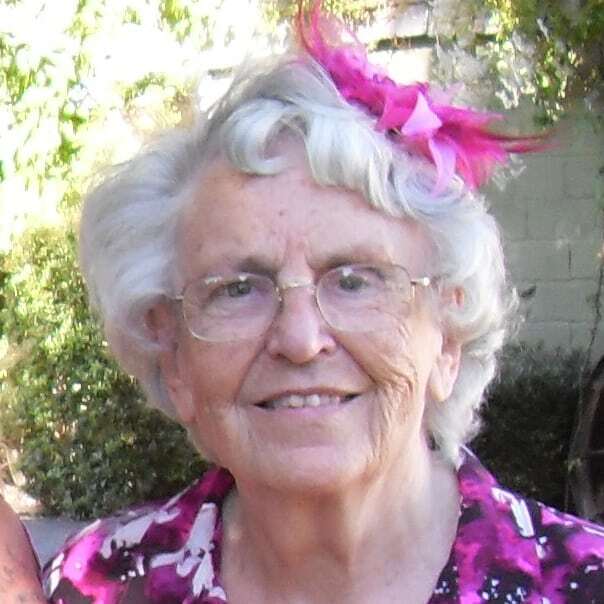 She helped me by suggesting supplements, article, books, medications, coping strategies, and so much more. When my coaching was completed, I knew how to say “no” without feeling guilty, I knew how to put in place a new nutritional plan, I started seeing a Naturopath. Tami helped me check him out to be sure he was the right ND for a fibromyalgia patient. Most important, she gave me the tools to empower myself to be my own “best advocate.” I took control of my medical care. I learned to speak to my doctor and let her know what she could do to help me. I don’t let anyone decide my medical care for me. I am in charge. I make the decisions for my care. When I told my doctor what I was doing, she told me how proud she was of what I was doing. Then Tami did something that made my life even better. 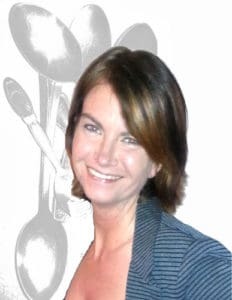 She founded The International Fibromyalgia Coaching Institute. I knew that this is what I had to do. I wanted to help those with fibromyalgia so that they too could take control of their lives and feel better. I became part of the first class to graduate from the International Fibromyalgia Coaching Institute. I graduated January 31, 2016 as a Certified Fibromyalgia Advisor. I would advise those with fibromyalgia to find a coach/advisor that can help them find answers to fit their personal needs. It made such a difference in my life and I know that it can for anyone else. Congrats, Terry! I’ve been following the news about Tami’s coaching program, and it sounds so interesting. I’m actually currently reading her book. Three years ago I was diagnosed with Fibromyalgia. I actually cried when the Doctor told me this. Before, I got the impression they thought I was just another “one of those” with no discernable diagnosis. Most of us look healthy, so what could possibly be wrong with us. Between my doctor, myself and a whole lot of researching , I have been taking the drug “Naltrexone”. What a change!! The drug is not an opioid…It was originally prescribed for alcoholics and drug abusers. Physicians as a rule, do not prescribe Naltrexone because they are not familiar with the other uses. It will probably take a lot of convincing and a compassionate doctor, but believe me, this med is a life saver!! Really, Really! It feels so good not to be taking other meds that I had been prescribed. Please try to talk to your doctor about Naltrexone…What can it hurt. It feels so good to feel good again, It will not cure you, but it will help[ tremendously! I’m so glad LDN has helped you to feel better. I’m a big fan of it, have used it myself and have written a couple of posts on it to educate others about using LDN. I agree it had helped me. At 57 I am currently in a flare due to weather going up and down! My most helpful changes have been no red meat, (This decreased the intensity of my pain fairly substantially) and adding D-Ribose for more energy. (Thank you, Donna!) I began feeling energy improvement after 2 1/2 weeks. Oh my goodness, Beckie, I’m so happy to hear that d-ribose is helping you!!!! That’s awesome! I’ve been wondering about cutting out red meat myself. I’ve gone gluten free and am still tweaking my diet to see if there are other things that might be aggravating my pain levels. Changing my diet has made a HUGE difference for me, too. For energy, I used d-ribose for quite a while and had good success with it. 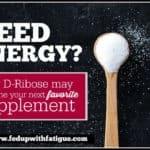 I wrote about that here: https://fedupwithfatigue.com/nutrition-supplements/need-energy-why-d-ribose-may-become-your-next-favorite-supplement/ When I switched doctors, my new doc put me on a combination of SAMe and 5htp, which has worked well too. Thank you for commenting! I agree with the top comment, adult colouring books are a godsend! I also really like the idea of heat, hot water bottles and blankets are my favourite thing. Another favourite thing is cars with heated seats, they’re my favourite! Please search Tank Floatation ! Ir helps me so much. Like meditating in a pool!!! I’ve seen a couple of stories lately on this. It sounds wonderful! The nearest one is about an hour from me. I went from being a highly active person to being almost completely bedridden due to pain and fatigue. I worked hard to get my movement back and it took years. I will never be back to where i was but what has worked for me is exercise for muscle strength and learning to say no to stress. Like many of you I feel guilty if I cannot do something but I am learning to focus on what is good for me and if something is causing me stress I try to get rid of it. I have found the benefit system to be my big stress and so to avoid this I have stopped appealing decisions and am now on job seekers. I had problems with family and took the decision to walk away and this has helped me tremendously. So I think get rid of stress and exercise. Good advice we should all heed! 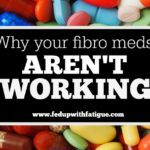 During my 20 years of fibro I tried many therapies, lifestyle and nutritional changes, and supplements with varying levels of remediation. Now, ten months into a year long protocol of flotation therapy combined with some psychotherapy, pain levels & psychological symptoms are way down, and physical and mental functioning is increasing apace. I had been using float tanks for more than 25 years. It had helped for stress but made little impact on my fibro. Things improved within a few months once I changed to the protocol outlined in Åsenlöf, K., Olsson, S., Bood, S. Å., & Norlander, T. (2007). Case studies on fibromyalgia and burn-out depression using psychotherapy in combination with flotation-REST: Personality development and increased well-being. Imagination, Cognition and Personality, 26(3), 259-271. Adapting their program and floating systematically has, for the first time since it began, given me a reason to think this hideous disease will soon be in my past. You’re the second person to mention flotation therapy. I think that’s a sign I need to check it out! 🙂 Thanks for sharing! The fatigue is as bad as the chronic pain and I’ve been like this since 2005. Had to retire early with the onset of severe osteoartritis in both feet,both hips, all cervical vertebrae and all lumbar/sacral vertebrae and my thumbs I. am now 67 yrs and on many supplements and afraid to stop any of them for fear that the pain will worsen. I started going to the pain clinic once a week where I get lidocaine TPI and blocks to my feet and sciatic nerve .This is my godsend and gives me about 4-5 days relief. I fight depression every day because it is so easy having my own pity party…so I learned how to make fashion jewellery and became very creative with it and it keeps my mind busy.I had a hip replacement 2 yrs ago and this has helped lesson the pain.. Deep massage therapy has helped me so much as well. When I do go to the pain clinic, I see many people worse than me and this makes me realize that life could be a lot worse, so thinking positively does help me. I am a 30 year sufferer of fibromyalgia and that should tell you that I have tried thousands of ideas to help me. I was bedridden for a year because I tried to ignore my syptoms. That doesn’t work for anyone. Now I pace my life and try to live my new normal. I got my diagnosis at age 48 and I am now 78 but doing much better than I was 30 years ago. I do supplements and herbs and no prescription drugs but because of stress I have also developed sjgrens (dry eye) disease and just in the past year, psiroasis. The itching was the worst for me and now I am on mexatrexate and folic acid for it. It is suppressing my immune system and making me weak and tired all the time. I hope to get off of it soon. I do chlorphyll once a day and pro biotics that are 20 billion per capsule. coconut oil keeps me lubricated and life is better now. I must take melatenon to sleep 10mg. with valerian root, stress pills, and benadryl. then I can sleep thru the night without getting up for anything. I had good support from my husband and friends and no one else to care for but myself. I feel very blessed and when I look back over the years I feel better today than I get when I first got sick. I can function now and that means everything to me. thanks for listening. So glad you’ve found a few things to help you feel better. You give the rest of us hope that we don’t have to be on a downward trend. For Psoriatic Arthritis with itching and scales on my head, I found relief for many years in Neutrogena’s T-Gel, maximum strength. The tar calmed things down. For reasons unknown, that stopped working after 30 years, and psoriasis flares drove me crazy. I am currently getting unexpected relief from Delsum Blue, the green label with Aloe. I use the foam on my face to keep psoriasis in check there. An unexpected blessing born of one of the many despair-driven trials with everything on hand. I hope you are aware of the newly released medical report about AntiCholergenic Rxs that cause Alzheimers to set in earlier! Google the term and you will find that Benedryl and Flexaryl are on that list!! So is Meclizine (motion sickness and anti dizziness OTC Rx) I’m NOT EVEN going to let the big A get me if I can help it!! Just needed to share and spare you too!! GOD bless… Another Fibro/CFS PT. Thanks so much for inviting me to be part of this Donna. 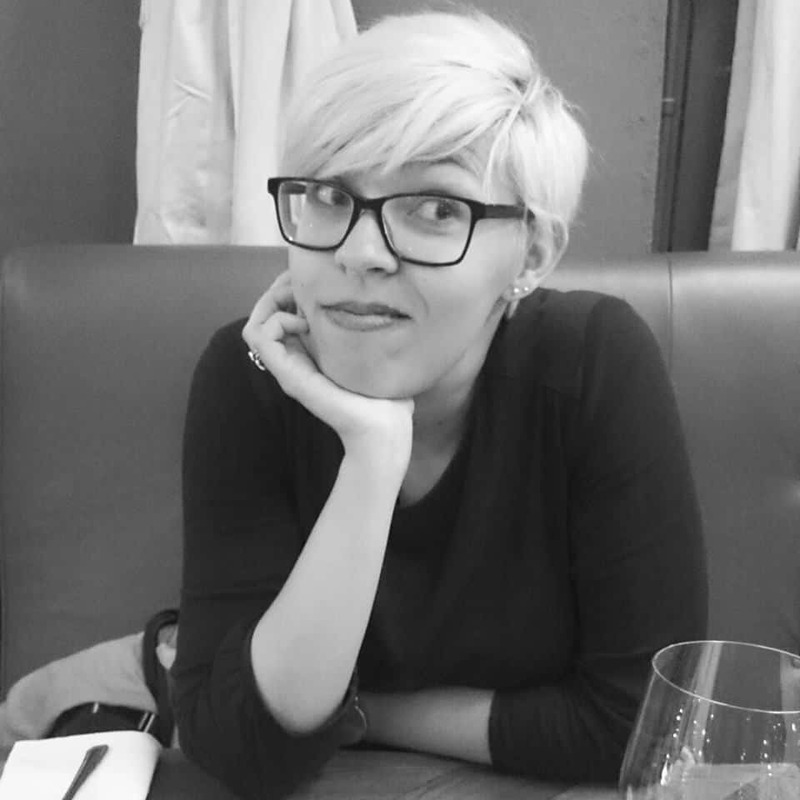 It’s been wonderful to see the other blogger’s perspectives on managing their pain, and I’m quite proud of what a great collaborative piece this is! So happy you could participate, Sarah. 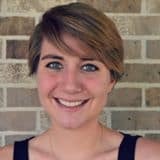 I’m a big fan of your blog and am happy to finally connect with you! These are all great suggestions! Thank you for sharing them! After trying all the prescription meds and having nothing work and praying for an answer I decided to try medical Marijuana. It is the only thing that relieves my pain and helps me sleep. It is high CBD low THC so I do not get high, which was one of my deciding factors. I take it in butter form in gel caps. I still have flare ups but when that happens I add hot baths to the mix. Still looking for help with the fatigue. I’ve also vastly improved my diet but I really have no appetite these days. After being on an anti-inflammatory diet these past few months, it’s been a huge revelation to me how much diet can impact how we feel. I will definitely check out your blog. It sounds really interesting! I added your blog to my bloglovin’ feed, so I’ll get all of your updates now! Excited to see and try your new recipes. Vitamin D has been my friend, and my body seems incapable of producing it, even in sunny weather. In the winter I need even higher doses. I also have RA so that may be more RA related, but it really does make a huge difference for both my RA symptoms, my fibromyalgia symptoms, and my EDS symptoms. There have been several research studies linking low vitamin D to fibro symptoms. I’ve been taking vitamin D supplements for years b/c I’ve tested deficient. Glad it helps you! The supplements and creams I am interested in. I’ve also, like others stated, have wanted to try CBD oil or in a vape. Marijuana in it’s full form causes my pain to be 10x stronger depending on the strain so I tend to shy away. I feel every single joint, muscle and nerve. My sleeping patterns are terrible but I cut down to 10 hours a week of work and cut out mornings. I just couldn’t do mornings or all day any longer. It has lessened my fibro. I also started Gabapentin about 6 months ago. I can only take it at night due to it causing me to be dizzy, but it helps my pain ease. It was the last step before being able to apply for Lyrica through Medicaid. They don’t like to give out the expensive drugs. I found hemp seed oil about 5 yrs ago now.I put it on my skin like lotion and it has calmed my pain,twitches,jerking all down.I can even take a shower again without hurting.Hemp seed oil comes in capsules too.I take 2 day and has helped with depression,anxiety,IBS.I tried coconut oil and love it!Clears that fibro fog up and gives me energy.I’ve tried all the big pharma pills but no luck.I’m finding nature so helpful.Diet changes.I rarely take anything for pain now.Just my oils and learning to love life again. I’ve used hemp CBD oil and have had success with it. Would you be willing to share your supplier for your oil and the capsules? I haven’t heard of taking it in a capsule form before. Interesting! LOL – I am going this way with hemp and coconut oil myself. Manitoba Harvest offers highly rated Hemp Oil softgel capsules on Amazon or their website. Otherwise, the capsule option can be found on just about every website that sells CBD Oil. Your American Shaman brand even offers the capsule option. You can buy virgin unrefined food grade hemp oil in bulk from several different sources online. You want “unrefined” because the refining process removes all the nutrients value. The hemp oil should look green and thick, not light like olive oil. I usually use Amazon as a platform for research because of the good customer feedback there that keeps sellers to high standards. As with each of us my research is ongoing. So far I have found that having a strong support system is a priority. Because of my husband, and other family and friends I am able to have a positive attitude which keeps me hopeful. I no longer am silent about having fibromyalgia which is liberating and allows me to be truthful with myself and able to support others with fibromyalgia. Website coming soon, but Facebook page is here and waiting for friends and supporters. I too have so many other conditions that impact the fibro. The main meds that work for me are Neurontin at the max dose (be prepared for other dr’s questions), and Mobic 15mg. Otherwise, it is very much like others. I get a 1 1/2-2 hour deep tissue massage every week, myofascial release every week, acupuncture and chiropractic as needed. I am a serious morning person, so I plan all appo by noon, try not to overload myself, take 4-6 hours to rest, read, watch tv, online shop, etc., I say no a lot, nap when sleepy, try to walk slowly for an hour at a time 2x week, eat a somewhat healthy diet (I bake and love sweets), make plans with at least two friends a week, and mostly, try to cut myself some slack when I can’t do something or get confused or make mistakes. Thanks for sharing your tips! Lots of great info here! 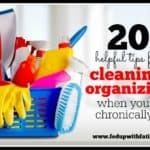 It sounds like you’re really doing all that you can to manage it effectively. For me, listening to my body and pacing my activities has been a life savour. A big part of that is regular meditation or down time during the day and giving myself permission to have days off when I need to. I just restarted my meditation practice for the New Year. I’ve challenged myself to meditate every day for 30 days straight as a way of getting back in the habit. It really helps me deal w/ the mental/emotional stuff that fibro brings. I’m still learning about pacing. I have a tendency to still overdo it b/c I have too much of a Type A personality. I found “adult “colouring books and it has made a huge difference to me, not only does it help me to deal with stress, as it completely relaxes me, but it also gives me a sense of achievement. I colour away my stresses and I am distracted from pain , plus it gives me something to focus on instead of moping about feeling sorry for myself. The adult coloring books call my name every time I visit Michaels, which is a craft store here in the states. I loved to color as a child. So relaxing. I’m thinking I may end up giving in to temptation one of these days… Thanks for sharing your tip! 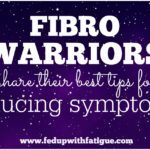 I loved reading all of the bloggers tips in dealing with Fibro. I am 54 and was diagnosed with Fibro in 2009, after seeing Dr. after Dr. for 2 years. With all honesty I have tried all the treatments mentioned in the bloggers tips with the exception of Lyrica. However I did try Cymbalta which was the most horrific experience I have ever had taking a prescription drug. After this I started seeing a Naturopath. I’ve been down many roads with this Dr. as she had me try practically everything!! I wanted to add to what Donna mentioned with adult coloring. I saw coloring listed as a suggestion on a Facebook Fibro page. Also a friend of mine (who doesn’t have Fibro) was prescribed adult coloring to manage anxiety. I started coloring late last September and I am addicted! The art store near my home is my favorite place to go when I am feeling up for it. They have an excellent selection of books and so many different types of pencils it boggles my mind. There are many types of pencils out there for the serious adult colorist besides Crayola! Gel pens and markers. You don’t have to use childrens school supplies. I have found adult coloring to be an excellent way to distract my mind from pain. I enjoy how beautiful the pages are when finished. There a zillions of coloring books on the market these days. Amazon is a wonderful source. I have several types of books and choose a page based on the mood I am in. I have a couple of books with abstract art and positive quotes. When you color the words the words are also transmitting how you think. I love coloring flowers and gardens. I also recently found a new product on the market called My Pain Away Fibro cream. It is endorsed by the National Fibromyalgia Association. I have tried several pain creams and this one is by far the best one. I also use medical Marijuana and Tramadol. Confession: When I was a bit younger, I used to keep coloring books and crayons in my desk drawer, and I’d pull them out and use them when I felt stressed. (I had some Play-doh too.) But I haven’t colored in years now. Maybe it’s time to change that! Me, too! Achievement feels really good. I think I can shrink the pictures and print note cards to give for gifts. A win-win. So happy you could be a part of it, Kristine. Love your blog!